PM opens cabinet meeting with Torah passages proving Abraham's acquisition of Cave of Patriarchs, following UNESCO resolution on Hevron. 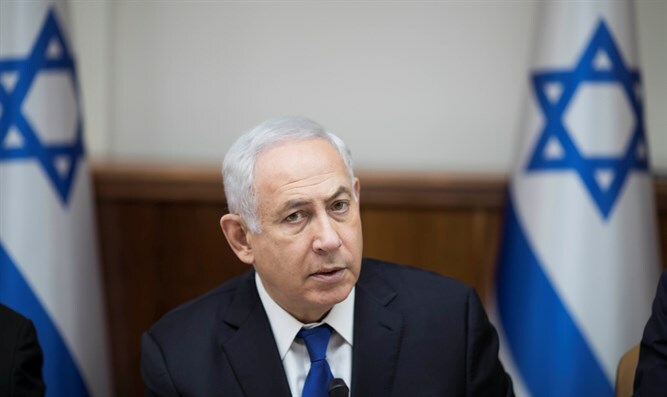 Prime Minister Netanyahu opened the cabinet meeting this morning, Sunday, by reading passages from the Torah proving that Abraham bought the Cave of Machpela in Hevron. “This, of course, did not prevent the World Heritage Committee of UNESCO from passing on Friday another outrageous resolution. It established that the Cave of Machpela is a Palestinian heritage site. Following this decision, I decided to cut a million dollars from Israel’s membership fees to the UN, and use it instead towards the establishment of a Jewish heritage museum in Kiryat Arba and Hevron - and the money will be also be used for other projects related to [Jewish] heritage in Hevron,” Netanyahu said. “Therefore, I instructed today to finish processes for building the “Kedem” center to show historical and archaeological presentations related to the City of David [in Jerusalem]. It is going to be a spectacular building with spectacular presentations - and the whole world will see the truth. The first guests we will invite will be UNESCO delegations,” he said.